Carl's Electric offers the largest selection of appliance parts on the internet. Our warehouses across the country have over 5,000,000 appliance parts in stock. These warehouses can reach over 80% of the US within 1 or 2 days with regular ground shipping. Now order parts with our new online store! 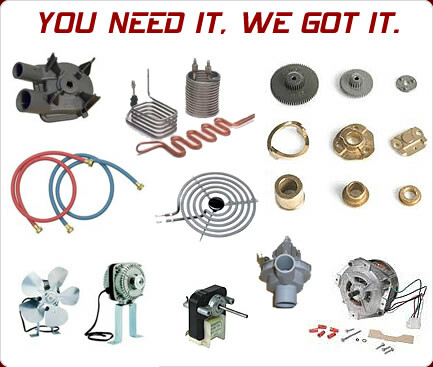 In-stock parts delivered next day to your location! Please have Make, Model, and Serial Number ready. If you don't know this information we can help you on the phone.